In 1914, residents of a Bronx nursing home called the German Odd Fellows Home began dying. This is hardly unusual in a nursing home, of course. But officials there realized that the residents were dying in larger numbers than usual. Officials didn’t have to do a drawn-out investigation. 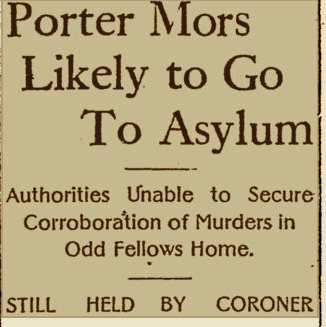 In February 1915, a peculiar new porter and nursing orderly at the home described as “neurotic” and a smoker of “Egyptian cigarettes” walked into the Bronx district attorney’s office. Clad in a corduroy hunting outfit and wearing a feathered Alpine hat, he admitted that he killed eight octogenarians. 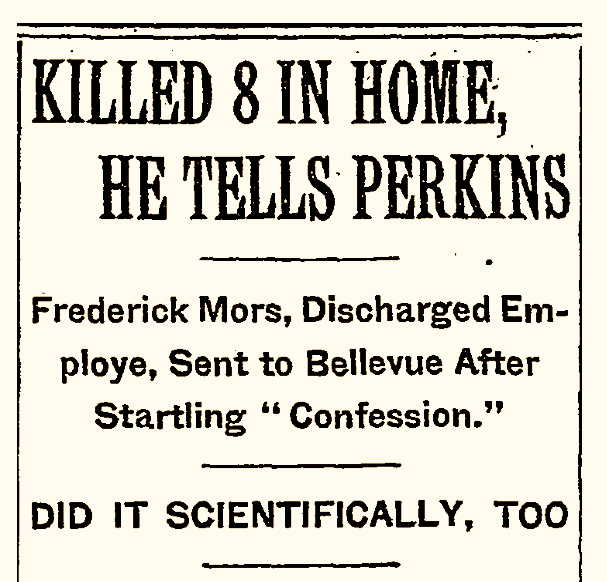 He claimed he was egged on by the home’s superintendent, who urged him to “‘hurry the deaths’ of some of the more aged and suffering inmates,” wrote The New York Times in 1915. He confessed, he said, because he was afraid the superintendent would pin all of the murders on him. Though some aspects of Mors’ story appeared to check out, the DA’s office wasn’t convinced. They decided to give him a psychiatric test. 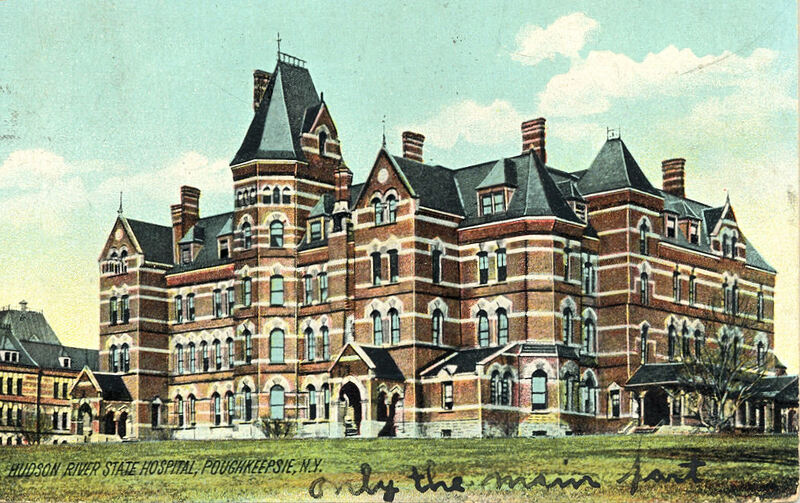 Instead of being prosecuted, he was committed to the Hudson River State Hospital for the Insane in Poughkeepsie (below). 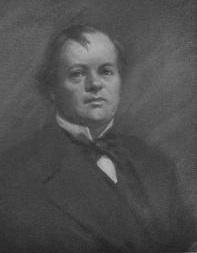 Scheduled for deportation back to Austria, Mors escaped prison in May 1916. He was never seen again, but a skeleton found in a patch of woods in Connecticut may have been his; police found a bottle next to the skeleton that indicated suicide by poison.